The Associated Press issued a clarification to a piece on a conspiracy theory about a number of Ferguson protesters following criticism from the Washington Free Beacon. "Puzzling number of men tied to Ferguson protests have died," reads a Monday headline from the AP. The piece reported that many Ferguson Black Lives Matter activists were concerned that the deaths of six men were tied to their roles in the Ferguson protests and the deaths were somehow connected. The piece was criticized by, among others, a reporter at the Washington Free Beacon, in a column headlined "Associated Press Fans the Flames of Dubious Ferguson ‘Body Count' Conspiracy." The column argued that the AP story and its headline in particular was too credulous towards the claims of a conspiracy and omitted many of the facts pointing against it. "Despite its ‘puzzlement,' the AP cites police statements noting most of the deaths weren't murders and also the crime rate and lack of mental health resources available to black Ferguson residents…" the reporter wrote. "The result of the framing is the far left cited the AP story on social media as vindication for the conspiracy." 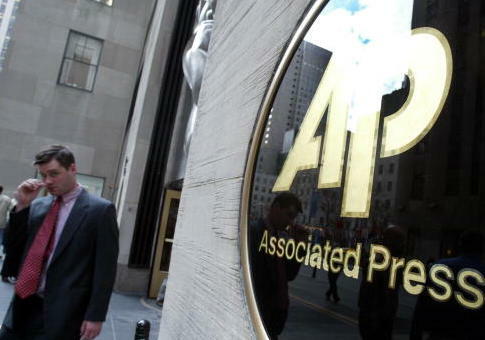 The Associated Press changed the headline of the piece two days later and issued a clarification. "In a story March 17, The Associated Press reported that the deaths of six young men connected with the 2014 anti-police protests in Ferguson have drawn attention on social media and speculation in the activist community that something sinister is at play," the clarification reads. "The headline referred to the deaths as ‘puzzling' without providing attribution," it continued. "This version of the story replaces the headline to focus on the fact that activists are unnerved by the deaths." The new headline reads "Activists unnerved by deaths of men tied to Ferguson protests." This entry was posted in Politics and tagged Associated Press, Black Lives Matter, Ferguson. Bookmark the permalink.